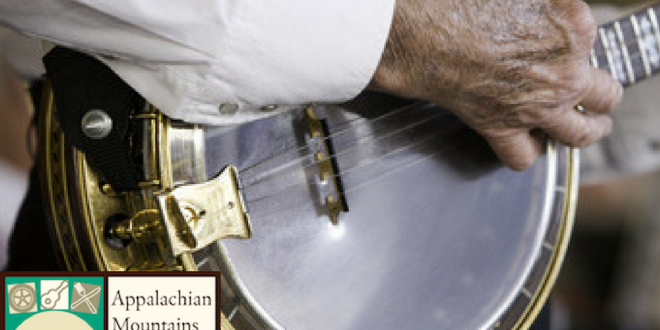 Appalachian Roots Music: What's with the Banjo and Bluegrass? 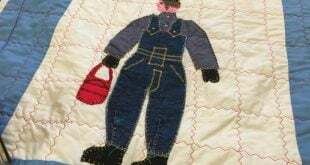 Home > Travel with Tamela > Appalachia > Appalachian Roots Music: What’s with the Banjo? I never learned to like bluegrass music as a child of the 1970’s. After all, we had the Rolling Stones, The Who, and Fleetwood Mac on the AM/FM dial so who needed that old timey stuff? (How ironic,the words “AM/FM dial” when talking about old timey stuff). And why were banjos only played in bluegrass music? 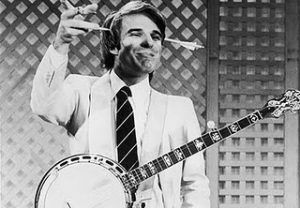 Other than Saturday nights when I watched Hee Haw with my grandparents, the only banjo player I remember from my childhood was Steve Martin in his trademark white suit on SNL—sometimes with an arrow “through” his head. The first time I visited the Blue Ridge Music Center (on the Blue Ridge Parkway near the Virginia-North Carolina state line) I truly listened to banjo music for the first time—and fell in love. More proof that with age, wisdom is possible. Banjos are considered happy-sounding instruments, and perhaps that’s why they didn’t get much play in the wake of the Great Depression. 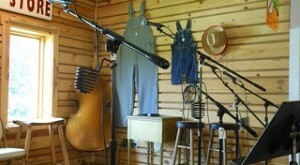 With the rise of bluegrass music in the late 1930’s and 1940’s the instrument came into its own. You’ve seen white musicians like Steve Martin and Béla Fleck playing the banjo, but when’s the last time you saw someone of African descent playing it to acclaim? With the exception of Carolina Chocolate Drops, not very often. 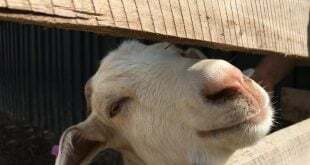 A quick review of the history tells us why. At the Blue Ridge Music Center I learned that after African slaves were forbidden by slaveholders to play their drums, they created the banjo using gourds, wood, and tanned skins, with hemp or gut for strings. They abandoned their creation in the mid-1800’s, when minstrel shows became the rage. The shows featured white men in blackface playing banjos and baffooning in a racist way. 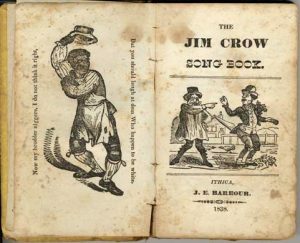 “Jim Crow laws” were named after a minstrel performer of the same name, whose character was devised to reinforce beliefs in black inferiority. Jim Crow played a banjo. Roots music, which includes bluegrass, is a fascinating amalgam of European, African and Early American traditions. The Blue Ridge Music Center is the perfect place to come to understand and love it in its many forms. If you’re a motorcyclist I hope to entice you to join me in June, 2017 on the Appalachian Mountains & Music Motorcycle Tour. 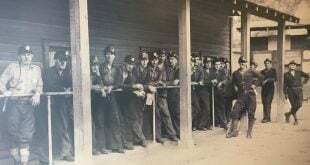 We’ll be treated to two private bluegrass concerts AND spend some time in the Blue Ridge Music Center, where you can learn about the origins of bluegrass, blues and gospel music. 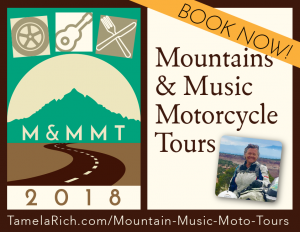 Watch the video below from the Blue Ridge Music Center at about 2:25 and you’ll see two of the musicians who’ll be entertaining us on our tour, Wayne Henderson and Helen White.